The DC universe has a bright future on the big screen. There are great movies on the immediate horizon. Warner Bros. is developing a slew of projects for the shared DC universe, including BIRDS OF PREY and NEW GODS. It is also laying the groundwork for a new film label expected to focus on standalone DC stories. 2018 and 2019 are particularly important for the ambitious plans. Characters like Aquaman and Shazam are finally getting the spotlight. We have to wait for 2020 for WONDER WOMAN 1984, but that’s OK. Warners has an exciting slate of DC adaptations coming through the end of 2019. Let’s take a look at them. A year after saving humanity from Steppenwolf in JUSTICE LEAGUE, Arthur Curry returns to theaters in AQUAMAN. 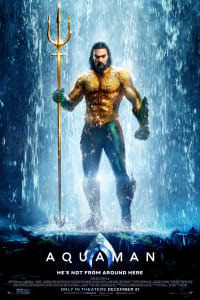 In the solo film, Arthur (Jason Momoa) teams up with fellow Atlantean Mera (Amber Heard) to find a legendary trident which imbues its wielder with immense power. Unfortunately for them, Curry’s half-brother Orm (Patrick Wilson) is also after the weapon. And Orm isn’t alone; he’s got some powerful allies. And there’s more! Black Manta (Yahya Abdul-Mateen II), one of Arthur’s most powerful foes in the comics, is on hand to wreak havoc. Despite his legacy and power, Aquaman is often perceived as one of DC’s goofiest crimefighters. That will change as soon as this movie opens; AQUAMAN will paint the hero in a new light. He’s a multifaceted warrior with a fascinating mythology that is sure to have a big impact on the DC movie world. Ever wonder what a mash-up of Superman and Tom Hanks’ BIG would be like? The answer is SHAZAM! The next chapter in the DC film universe follows Billy Batson (Asher Angel), an orphan boy hopping from one foster family to another. One fateful day, Billy is transported into a magical dimension by a powerful wizard. 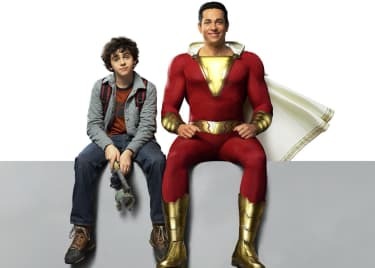 The sorcerer imbues him with his magic, turning him into the superhero Shazam (played by Zachary Levi). Batson initially has fun with his powers, but he quickly discovers that his new abilities come with great responsibilities. His heroic alter-ego, often gently mocked as the Big Red Cheese, is pitted against a sinister villain, Dr. Sivana (played by Mark Strong). 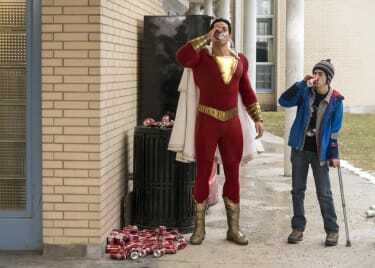 With its mixture of fun and fantasy, SHAZAM! promises to be one of the most unique entries in DC’s interconnected universe. [An] exploration of a man disregarded by society [that] is not only a gritty character study, but also a broader cautionary tale. JOKER will feature key characters from the Batman universe, such as Thomas Wayne and a young Bruce Wayne. The film boasts an impressive cast that includes Zazie Beetz, Brett Cullen, Frances Conroy, Marc Maron, and Robert De Niro. 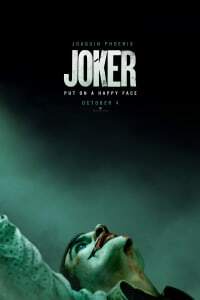 Despite its relatively small scale (reports estimate its budget to be around $55 million), JOKER has a lot riding on it. The film is the first project in a new line of standalone films centered around some of DC’s most popular characters, and an experiment that could lead to a whole new wave of risk-taking movies. And that would have us grinning like the Crown Prince of Crime. 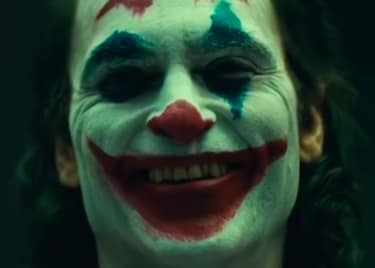 Jason MomoaPatrick WilsonJames WanActionZachary LeviDavid F. SandbergJoaquin PhoenixTodd PhillipsDramaDC Extended UniverseAquamanShazam!JokerWarner Bros.